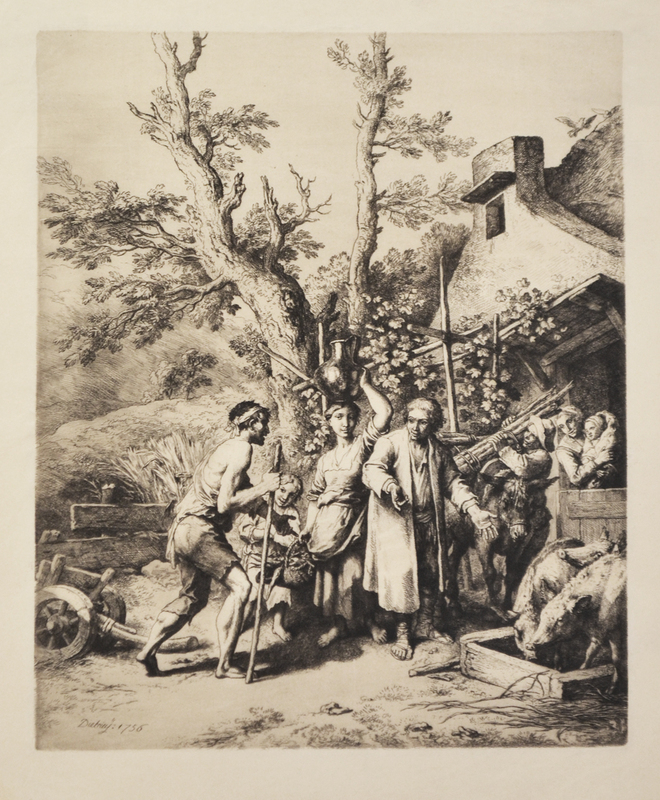 Mezzotint, image size 11 7/8 x 9 7/8 inches, plate size 13 7/8 x 9 7/8 inches, 1735, plate signed "Se Ipse Pinx." l.l. 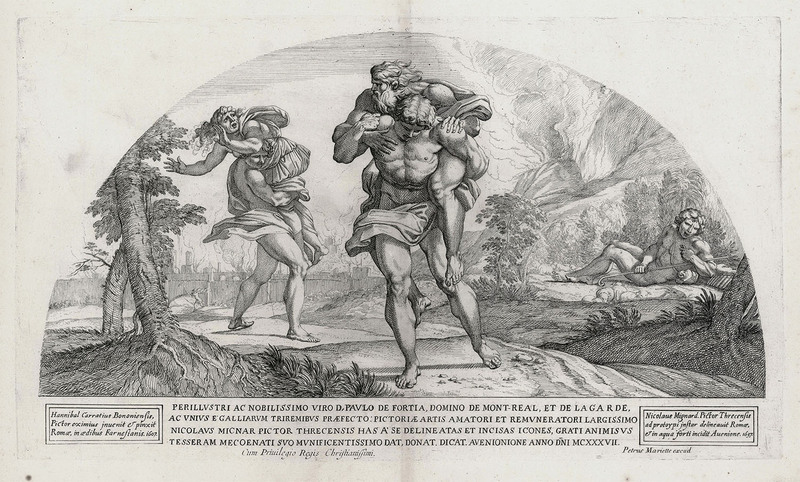 and "I. Faber fecit 1735" l.r. 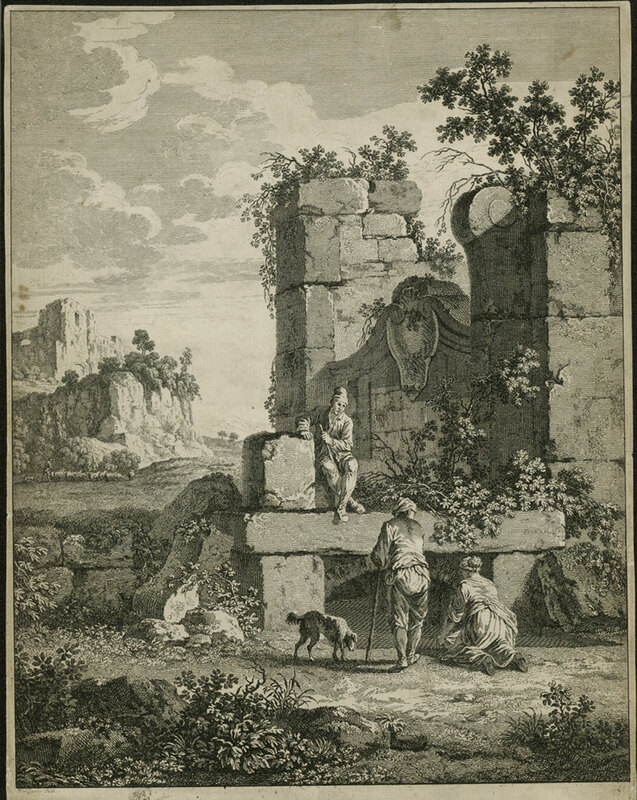 Etching image size 11 7/8 x 9 3/8 inches, plate signed lower left, Vivares founded an engravers school, member of the Society of Artists he exhibited in 1766 and 1768. 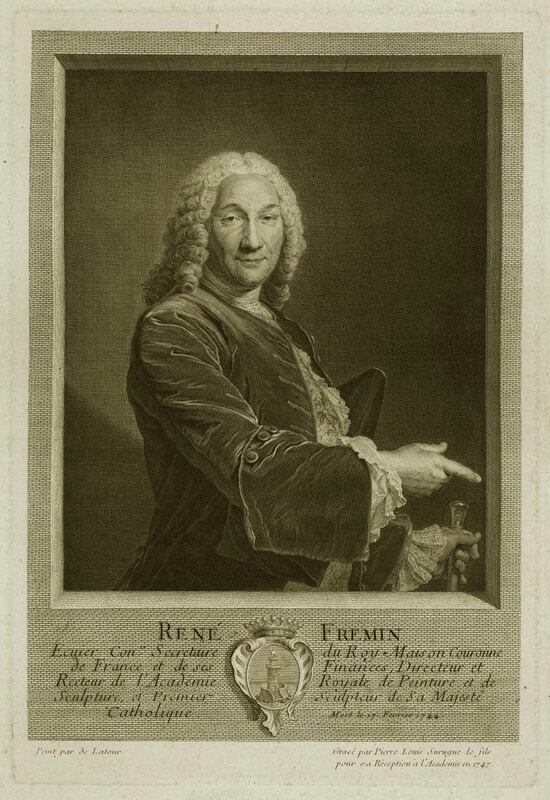 His reproductions of Claude de Lorrain were widely appreciated. 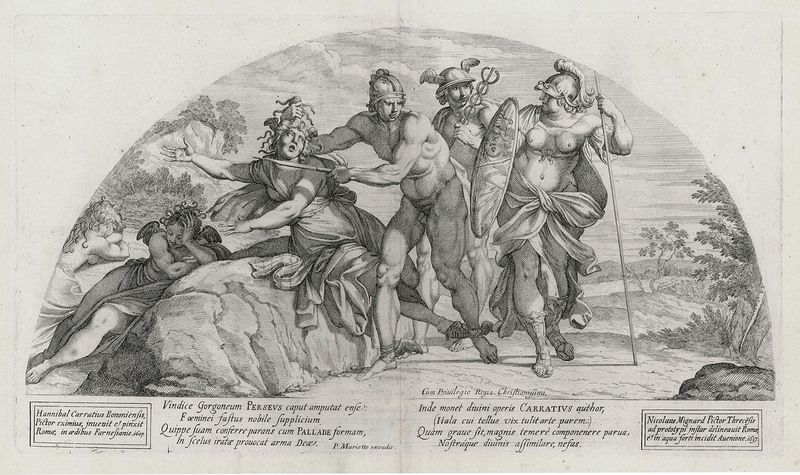 Etching by Nicolas Mignard after the frescoes of Annibale Carracci depicting scenes from Homer's Odyssey. 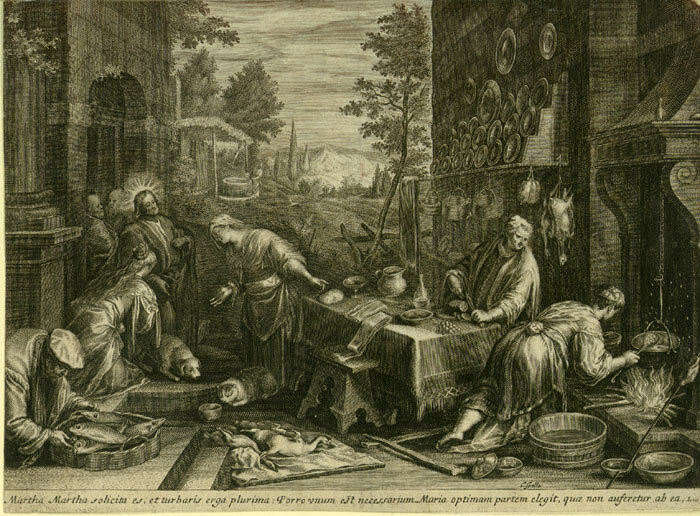 Plate size 9 7/8 x 17 5/8, published by Pierre Mariette in 1637, with lettering in Latin below the image. Printed on a very early watermarked laid type paper. 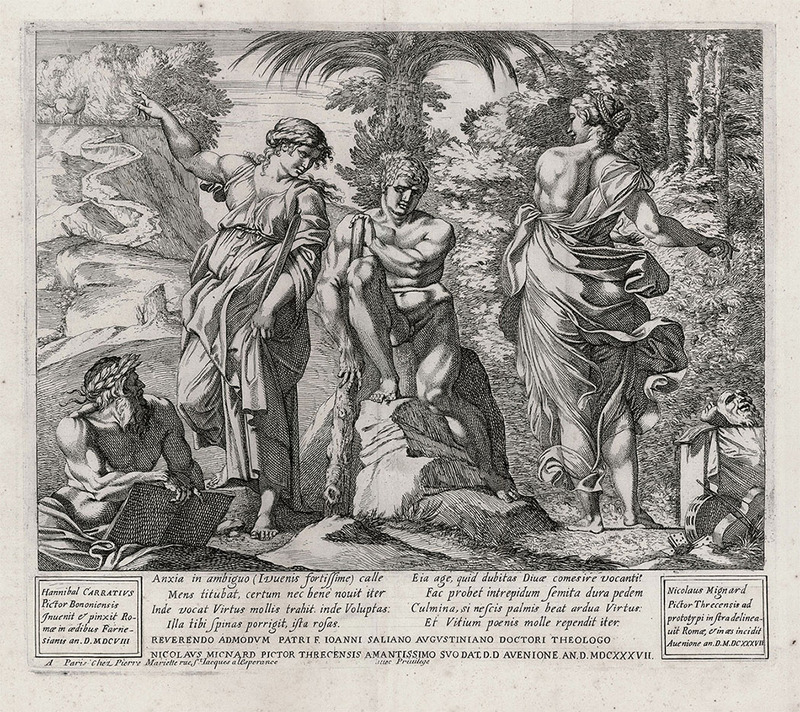 Etching by Nicolas Mignard after the frescoes of Annibale Carracci depicting scenes from Homer's Odyssey. 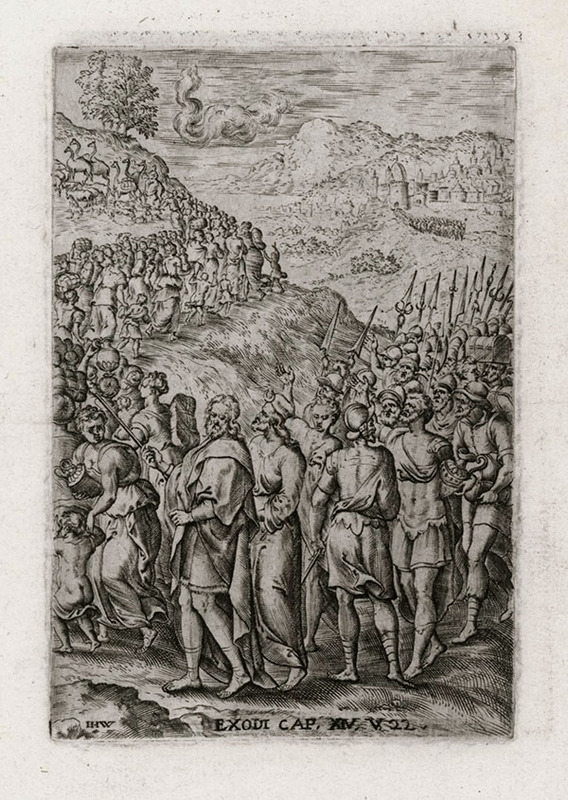 Plate size 11 3/4 x 13 5/8 inches, published by Pierre Mariette in 1637, with lettering in Latin below the image. 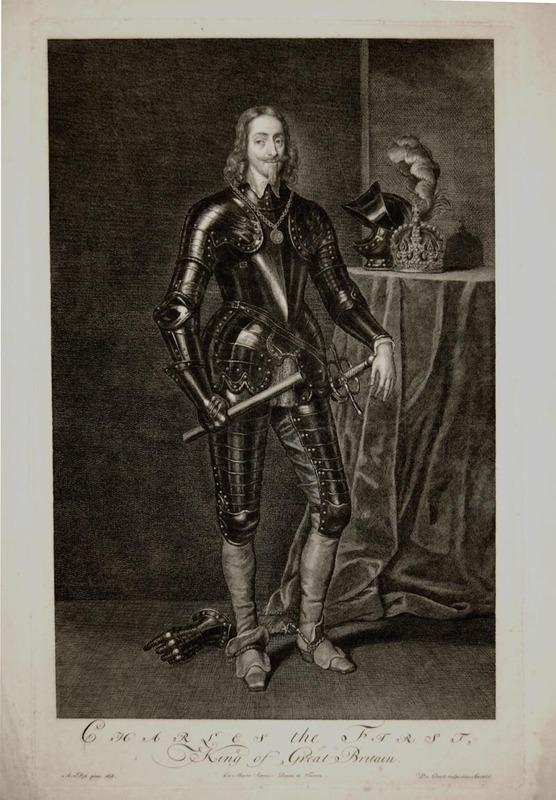 Printed on a very early watermarked laid type paper. 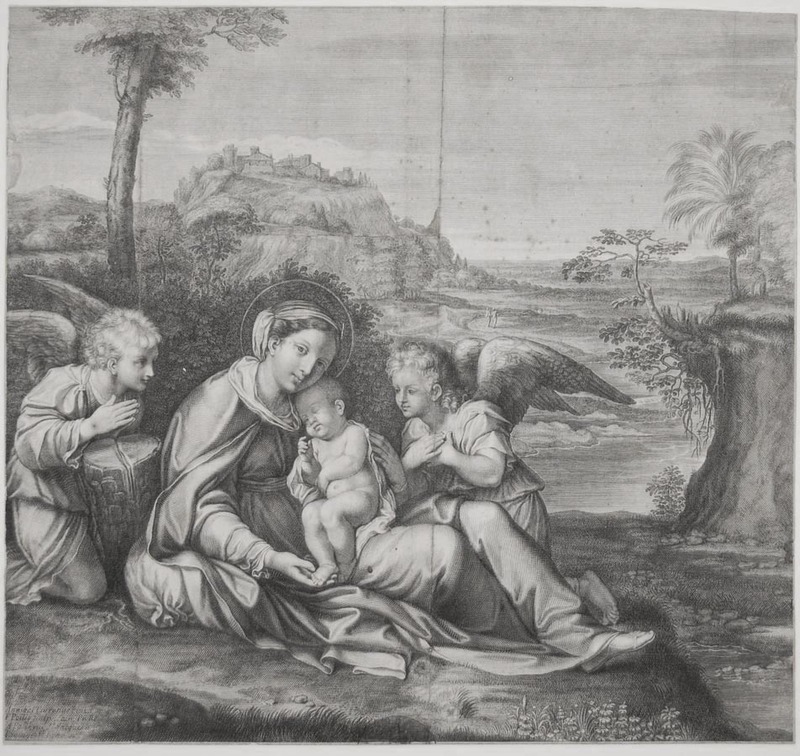 Engraving, circa 1600, image size 7 3/4 x 10 3/4 inches. 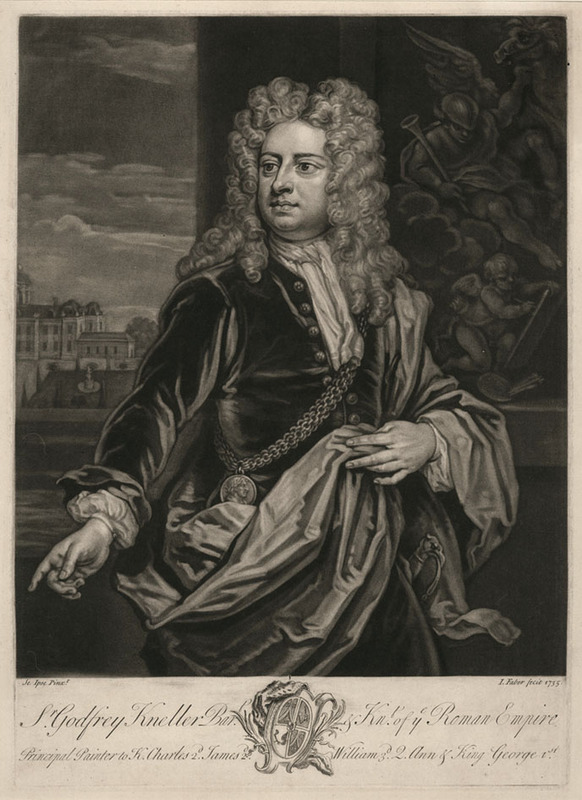 18th century mezzotint. Plate measures 19 x 12 1/2 inches on laid type paper. 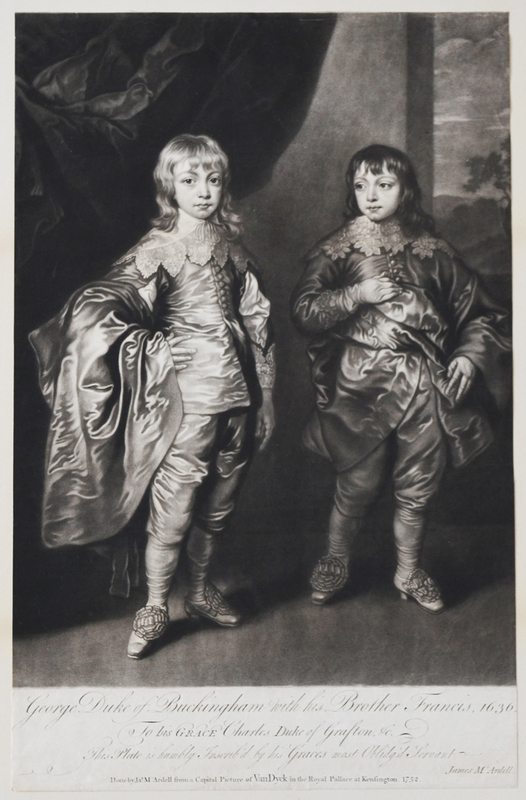 Inscribed at the bottom: "George Duke of Buckingham with his brother Francis, 1636. 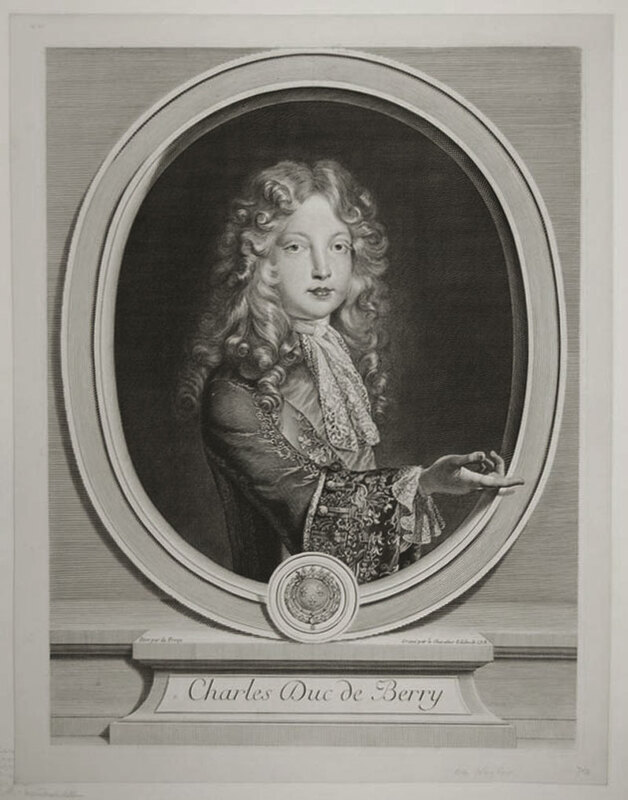 To his Grace Charles, Duke of Grafton. 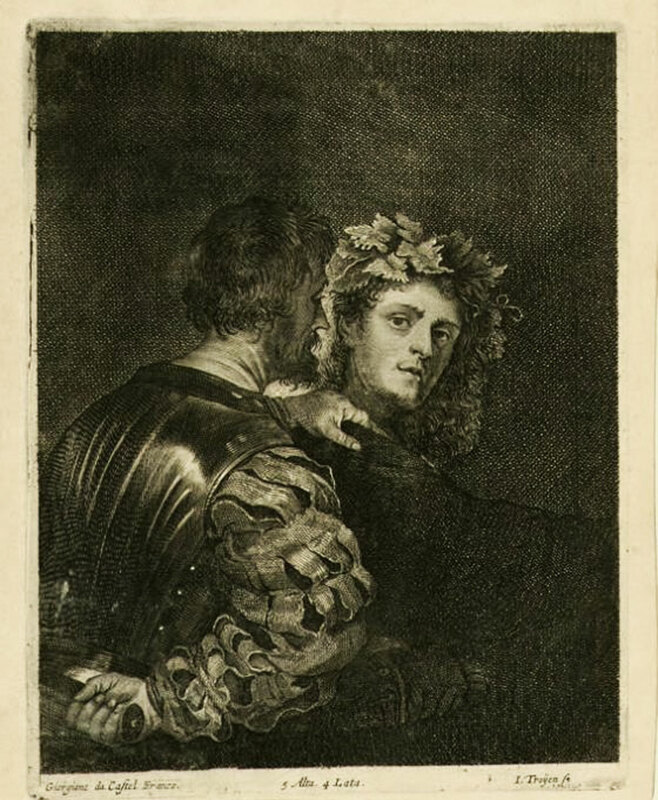 This Plate is humbly Inscrib'd by his Graces most Oblig'd Servant" below that: "Done by James McArdell from a Capital Picture of Van Dyck in the Royal Palace at Kensington, 1752." 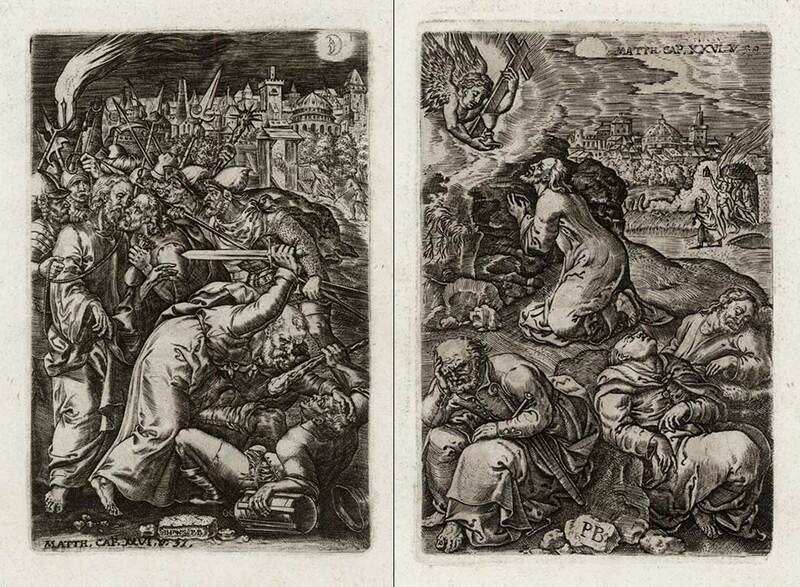 An incredibly skillful copy of this well known painting.